SPOKANE, Wash. – For the fourth consecutive year, Gonzaga University is the nation’s top-ranked (tie) Peace Corps volunteer-producing institution among “Small Colleges and Universities” with 18 undergraduate alumni serving in 15 countries worldwide, lifting Gonzaga’s historical total to 338 alumni with Peace Corps service. Gonzaga shares the top spot this year (for the first time) with the University of Puget Sound. Gonzaga President Thayne McCulloh said this fourth recognition – announced by the agency today – reflects Gonzaga’s enduring mission to produce enlightened, passionate graduates who are making a difference in the world. View the full list of Peace Corps Top Colleges 2016. 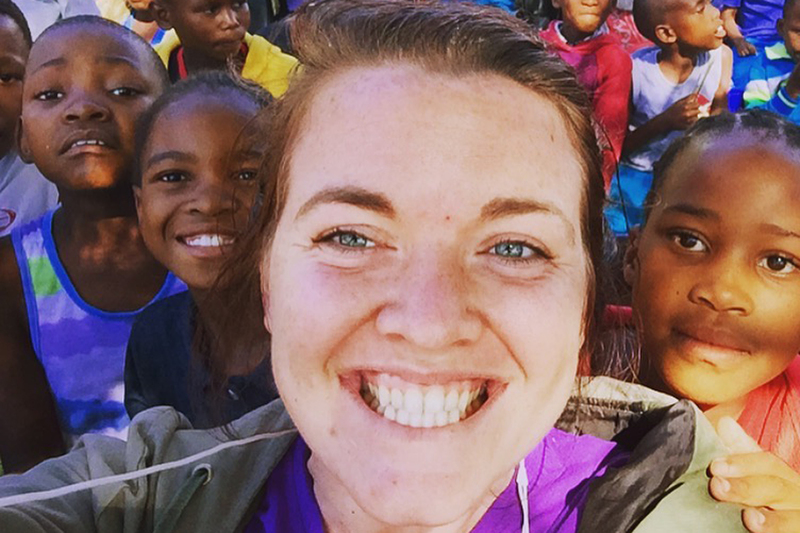 Molly Anderson, a 2012 Gonzaga alumna who majored in psychology and played basketball for the Zags, served in the Peace Corps from 2013-15 in the small, rural village of Hatsalatladi in Botswana. In May, she’ll graduate with a master’s degree in intercultural youth and family development from the University of Montana’s Peace Corps Master’s International program. In 2008, Gonzaga became one of a select group of schools nationwide to offer a Master’s International program in collaboration with the Peace Corps. Gonzaga’s Peace Corps Master’s International program allows students to receive a foundation in Teaching English as a Second Language (TESL) and Studies in Language & Culture and then complete the degree through a three-credit practicum with the Peace Corps while earning an additional seven credits as Peace Corps volunteers. Brittany Harmon, who came to Gonzaga for the PCMI program, served as a Peace Corps volunteer in Macedonia from 2015-15. For more information about the Peace Corps, visit www.peacecorps.gov. Click the following link for more information about Gonzaga’s Peace Corps Master’s International Program or send an email to pcmi@gonzaga.edu.